Purified Water, L-Carnitine, Phosphoric Acid, Natural & Artificial Flavor, Malic Acid, Citric Acid, Sucralose, Potassium Sorbate, Acesulfame Potassium(Ace-K), Sodium Benzoate. This product is manufactured with equipment that processes products that may contain milk, egg, soy, tree nuts, peanuts, wheat, fish, crustaceans, & shellfish. 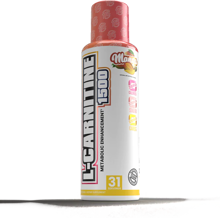 L-CARNITINE-1500 is a liquid based stimulant free supplement typically used to help promote muscular energy and fat burning. 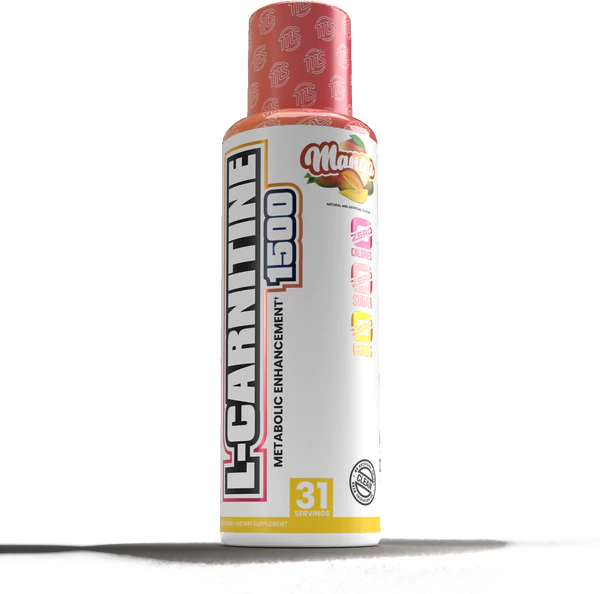 L-Carnitine is an amino acid that helps convert fatty acids to be used as a fuel source (which promotes muscular energy). * This process is not only designed to promote muscular energy but also fat loss and lean muscle growth. * L-Carnitine is stimulant free and perfect to stack alongside a stimulant fat burner and other weight management products to enhance results. Delicious flavors – L-Carnitine Liquid isn’t just another liquid carnitine on the market in boring Fruit Punch and Vanilla… we took these flavors to the next level in typical MAN Sports fashion! You gotta enjoy what you’re drinking daily if you want to stick to your supplement regimen. Try all 4 incredible flavors – Rainbow Sherbet, Glacier Blue Razz, Lemon drop and Mango! Glacier Blue Razz This is a Buy 1 Get 1 FREE offer! Lemon Drop This is a Buy 1 Get 1 FREE offer! Mango This is a Buy 1 Get 1 FREE offer!